When a Millennial Gets the Wine Data Bug AND Has Chutzpah? It's a Win for Wine. Everyone in the wine industry is chasing them as consumers. Personally, I’m interested in them as “who’s next” for wine + data. They don’t feel tied — or obliged — to how things have always been done. Fortunately, through my teaching gigs at universities and MBA students around the world, I get to meet these people and hear those ideas. Even more fortunately, millennials outside those formal programs sometimes reach out directly to talk about wine + data. That’s when I get to add chutzpah to their list of qualifications. This week, we’re shining the spotlight onto a millennial-with-chutzpah-who-also-does-wine-and-data. Her name is Gianna DiGiovanni, she’s worked in both Napa and Italy, and she’s in her senior year at the University of Southern California with a dual focus on Business and Applied Analytics. Here’s the story, about wine + data + millennials, in Gianna’s own words. What's interesting to you about data, and about data for the wine industry? I have always been fascinated with numbers and patterns, so naturally, data and the whole idea of big data in business caught my attention. I was able to act on this passion of mine when I started as a freshman at the University of Southern California in 2015, studying Business Administration. During my sophomore year, I enrolled in my first analytics course. I fell in love immediately. My interest in the wine industry is another story that I believe is attributed to my upbringing. My dad is a farmer and my childhood was surrounded by almonds, walnuts, sweet potatoes and peaches. Growing up, the importance of agriculture and knowing where your food came from was inherent. Everyone I knew either was a farmer or had a farmer in their family. It wasn't until coming to college that I learned how rare my situation was. Not everyone understands the importance of the agricultural industry, and most take it for granted. I believe it is my understanding of how much work is put into harvesting a crop, like grapes, that truly makes me appreciate a product like wine. What I have learned from my fascination with the wine industry and data is that there is a huge disconnect between the two. Unlike most industries that have already begun to integrate big data into their operations, the wine industry has yet to do so. I have made it my mission to make up for this lag. 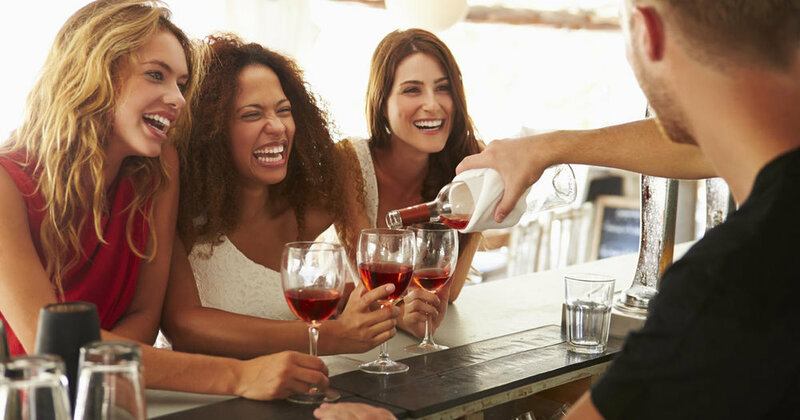 By marrying the two together, wine and data, the industry can make a tremendous leap into a new age in wine, one where wineries can better understand their consumer and better distribute their product. How are you learning the skills you think you'll need for a career in this area? I am extremely fortunate to be in school, pursuing my minor while the world is making the shift to big data. I have been able to learn from some of the best professors in the field of data analysis and work hands-on with data from actual companies like Yelp and Sams Club. My toolkit of skills has grown with each application and new software that I am taught. I have also been able to add skills and experiences to my toolkit outside of school. Over the past two summers I have worked in Italy and the Napa Valley, becoming more knowledgeable about the wine industry and the customers, market, and product that it's comprised of. My hope is that by having an understanding of the industry and the skills to manipulate the data, I will graduate with a well-established toolkit that will help me get to where I want to go, professionally. What are the biggest challenges you face now, or you will face in the coming years, working with data in wine? Changing a centuries-old industry to adapt to the modern world is a challenge in itself. This is something that all those interested in analyzing data in wine face. For me, this has meant the job that I hope to one day have doesn't yet exist. I cannot simply learn from those who have paved the road ahead of me, I have to seek people out from all over. The challenge to pursue a career path that is oddly specific and that doesn't already exist, keeps things interesting. I’ve learned that no matter the industry, making sense of the data available is the key to gaining beneficial insight. I plan to learn from those who are already making sense of their data, so that when the time comes and wineries are ready to make the leap into the world of big data, I will be prepared with the tools necessary to help them succeed.